I haven't had a lot of luck with cheap inkjet printers. The problem is ... they're cheap. Also, they use ink like crazy. But worst of all, my cats like to walk across the paper trays and BREAK THEM. They've broken THREE so far. I need a scanner. I have a HUGE scanning project and I'm not sure one of these "all in one" printers is up to the job. Earlier this year, I scanned a story I'd written a few years ago. I couldn't find the old diskette it was stored on and figured scanning would be the way to go. The cheapy printer/scanner did great ... for the first twenty pages, and then it got cranky. It was almost as if it was saying, "Twenty was fine, but 30? That's abuse." And of course, the story was even longer than 30 pages. (It was 53.) Now when I ask it to scan anything, it groans and moans and creaks and thumps. And now it refuses to scan as a JPG -- "Oh, no, honey. You abuse me, I'm only giving you PDFs." What's my BIG project? I have about 1000 vintage knitting patterns I'd like to sell on eBay. I need to scan the covers. I don't think Mr. Weasey/Cranky all-in-one is up to the job. I've looked at scanners and--holy smoke--they can be pricey. So I've been waffling. Should I invest in a decent scanner, or maybe I should just wait until Mr. Weasey goes to cheapy printer heaven before I force myself to make a decision. 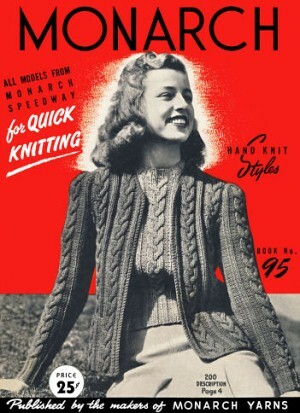 So if I can steal the title of Maggie's latest Kelly Flynn book *(out this week), I'm Knit To Be Tied. So, anybody got any ideas about how to solve my dilemma?